Another reason to make sure you are getting enough Iron daily. “Scientists at Imperial College London have discovered that iron deficiency may increase stroke risk by making the blood more sticky. The findings, published in the journal PLOS ONE, could ultimately help with stroke prevention. Every year, 15 million people worldwide suffer a stroke. Nearly six million die and another five million are left permanently disabled. 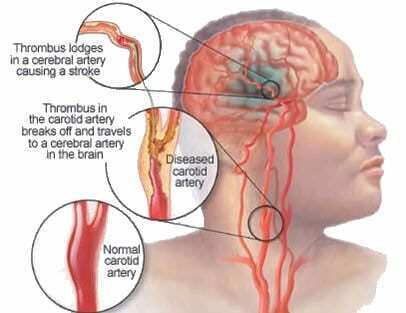 The most common type, ischaemic stroke, occurs because the blood supply to the brain is interrupted by small clots. In the last few years, several studies have shown that iron deficiency, which affects around two billion people worldwide, may be a risk factor for ischaemic stroke in adults and in children. How iron deficiency could raise stroke risk has been a puzzle for researchers.